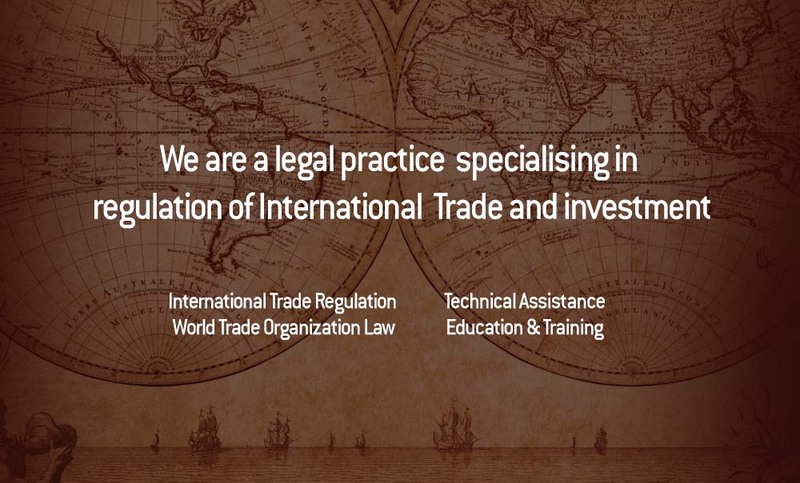 Williams Trade Law, based in Sydney, Australia, specializes in the regulation of international trade, especially the law of the World Trade Organization. The firm offers advice to governments, and private firms attempting to influence governments, on any matter arising under the WTO or any trade or investment agreement. The firm can represent parties in consultations and dispute settlement processes, treaty negotiations, or on structuring domestic regulation to fit within the constraints of treaty obligations. The firm can advise and represent parties in trade law matters including antidumping, countervailing duties, safeguards and customs matters. The principal of the firm, Dr Brett Williams, is a lawyer, trade policy consultant and university academic. Dr Brett Williams has taught the law of the World Trade Organization for a number of universities, the Australian National University, University of Sydney, Chinese University of Hong Kong, University of North Carolina, William and Mary College, and the University of Adelaide. The firm can offer cost effective and responsive small firm service, can integrate into your team or can draw upon an international network of correspondent firms to deliver complex, cross-border projects.